Aside from the obvious fact that "girls just want to have fun" this girl really wants ripped boyfriend jeans and cool t-shirts. 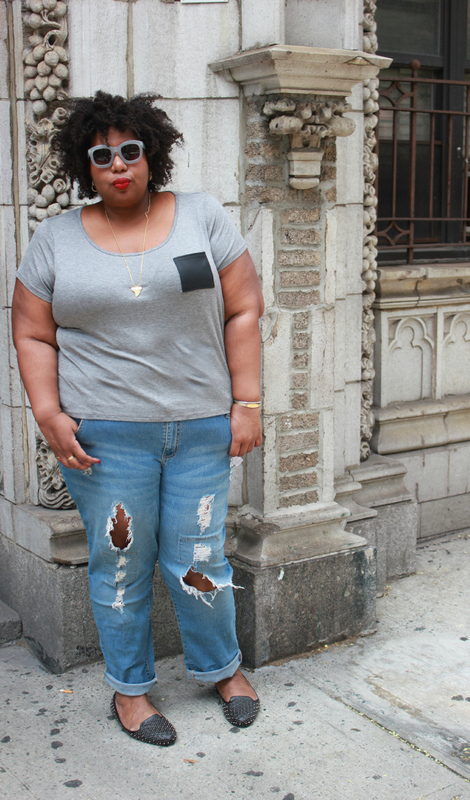 In my last post, I did mention being a little denim obsessed at the moment. But in addition to jeans, I need need need t-shirts. 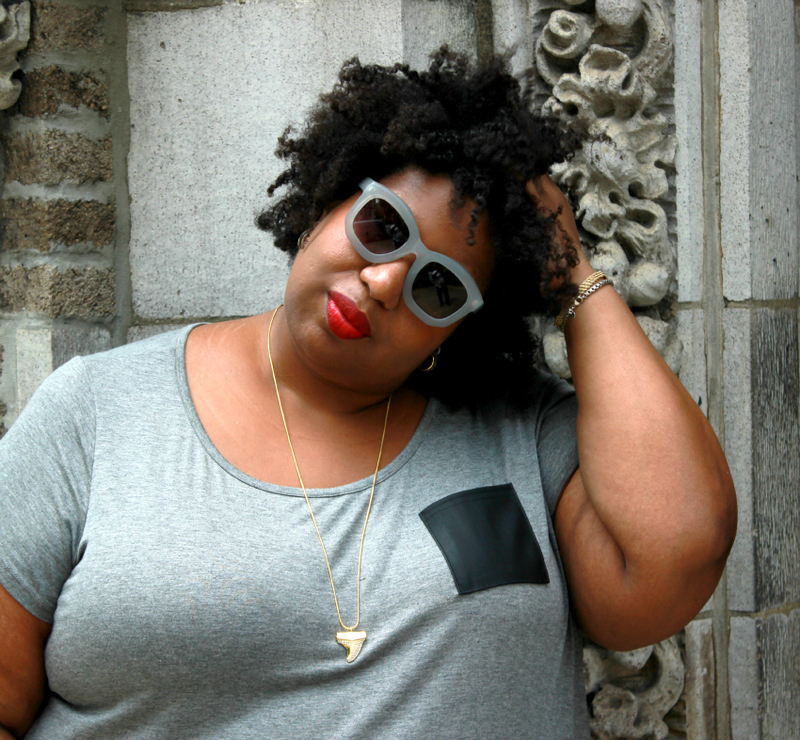 Are t-shirts the last frontier in plus size fashion? It might seem like a silly question but for the life of me finding cool t-shirts feels kind of impossible (insert sad face here). No, you're not going to find an I Heart Nueva York tee nor are you going to find an amusing pun tee referencing social media using a luxury brand logo. What you will find is an endless assortment of burnout tees, tees with maddening crochet trim, ruffles, rhinestones, embellished shoulders, cowl necks, foiled butterflies (sigh) and don't get me started on the graphics: "Fabulous", "Diva", hearts, skulls, crosses (collapses to the floor) - I can't go on. Ok, I've mentally exhausted myself. Rant over. 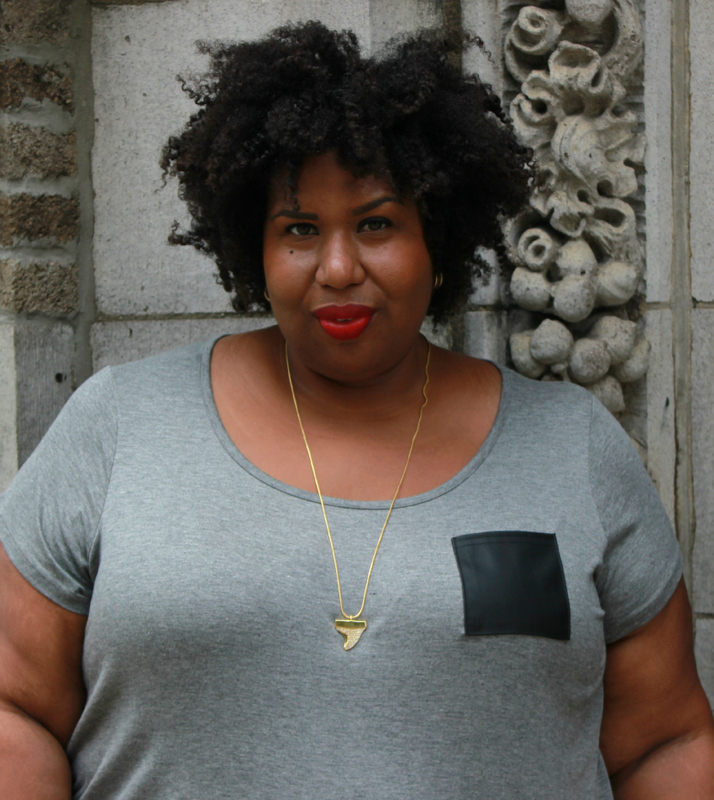 Here's what I wore yesterday, it totally reminds me of an Alexander Wang tee that I love! Sunglasses- A really aggressive lady vendor on 125th street who made me buy them, I'm not mad.